The project aims at identifying and providing technical solutions, based on standards of the Semantic Web, to enable the integration and rationalisation of MiBACT’s data sources related to cultural heritage. To improve availability and reusability of the information assets owned by MiBACT, and to promote open government principles as well, the project started from the so-called DB Unico 2.0 registry, currently available as Open Data of level 3, by opening its content according to the design principles and recommendations of the Italian guidelines on “Semantic interoperability through Linked Open Data” and the W3C Linked Open Data best practices. 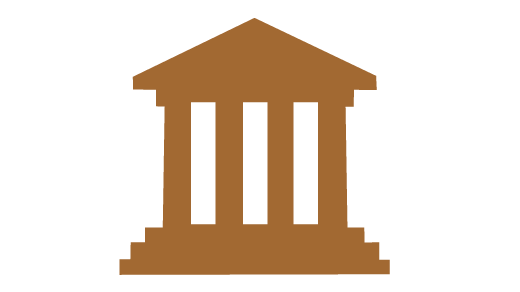 Definition of an OWL ontology for representing the information related to cultural institutes or sites (e.g., museums, historical archives, libraries, monuments, archaeological sites, etc.) and cultural events (e.g., exhibitions, seminars, conferences, etc.). The ontology aims at modelling cultural institutes or sites and all the data that can characterise them. Examples of data are: agents that act on a cultural institute or site, sites, contact points, the multimedia material describing the cultural institute or site, the services and any other information useful to the public in order to access the institute or site. Moreover, the ontology represents events that can take place in specific cultural institutes or sites, modelling all the data regarding possible tickets required to access to the event. Automated extraction of the data from DB Unico 2.0 by means of D2R. Production of the RDF dataset (and the related metadata) by following the Linked Open Data principles. The ontology is currently under-review by all the central institutes of MiBACT and will be published soon by the Ministry. Updated on 2018-04-16T11:51:35+00:00, by Martina Sangiovanni.